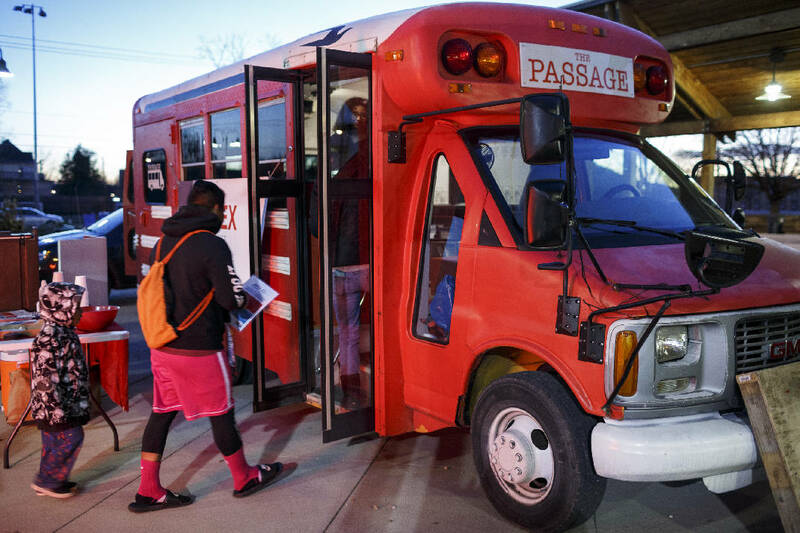 More than 650 people already have climbed aboard UnifiEd's repurposed school bus to voice their opinions on ways to address inequities in Hamilton County public schools, but UnifiEd organizers want more. The local education nonprofit organization launched the bus tour, which is the latest stage in its Action Plan for Educational Excellence project, on Dec. 13 after several months of collecting community feedback that informed the issues visitors of the bus are able to address. It's made more than a dozen stops so far. With the holidays approaching, however, UnifiEd hopes those unable to come out to the bus in person will vote in the virtual version of the tour, which launched Thursday night. "The Bus Tour has been paused for the holidays, which is the perfect time to open up online voting with the Virtual Bus Tour! said Natalie Cook, communications director of UnifiEd. The virtual bus tour will be available online through Jan. 12. Those who have already participated in the bus tour are asked not to vote again online. Click here to take the survey in English. For the Spanish version, click here. For more information on UnifiEd’s APEX project visit unifi-ed.org/apex. The bus, which has set up shop outside of schools, grocery stores and community recreation centers, will resume from Jan. 14 to Jan. 21. Those stops still are being scheduled, but the organization hopes to include locations it hasn't reached yet, such as Signal Mountain. "It's been so much fun, it's been really cool interacting with community members in a different way," Cook said. "The real purpose of the bus tour [has been] to go where people already are and get new community member engagement." Between August and November, UnifiEd collected more than 2,600 surveys that asked community members to identify inequities in local schools and provide possible solutions to them. From those surveys, which were entered into a qualitative analysis software program, Unifi- Ed's team of researchers identified 25 themes, which they are presenting to the community via the bus tour. On the bus, each visitor has been given tokens and been asked to cast seven votes for the statements on the list they identify with the most. This data will be used by APEX's 27-member steering committee to craft a community-written policy platform that can be presented to the community, Hamilton County Schools and elected officials. The bus tour has helped the steering committee understand the perceptions and concerns of the community, committee member Richard Graham said. "It's been an education for everyone on the committee as well, as to how we got to where we are," Graham said. Each bus tour stop has been staffed by at least one UnifiEd staff member, one steering committee member and the organization's grassroots organizers and volunteers. Kalena Rodriguez is one of UnifiEd's paid student organizers. She is a senior at STEM School Chattanooga and has worked for UnifiEd since her sophomore year. "I'm part of the student voice team and I get students involved at my own school," Rodriguez said. She has been encouraged by the number of students who have engaged with the bus tour (students have made up some of the largest turnout, according to Cook). "I think many students don't realize how important their voice is in making decisions about schools and the school system, but really we are a product of that system," Rodriguez said.